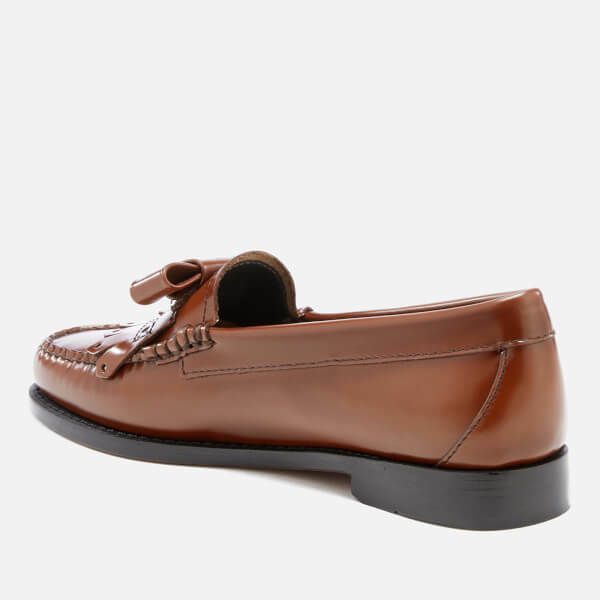 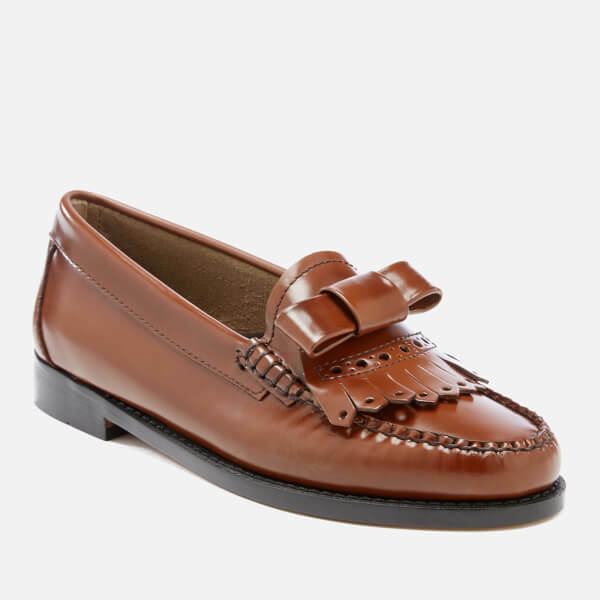 Women’s ‘Esther’ leather loafers from heritage American shoemakers, Bass Weejuns. 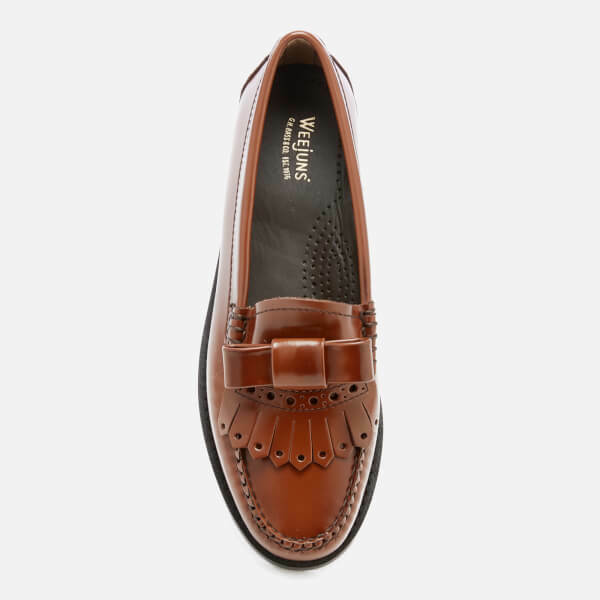 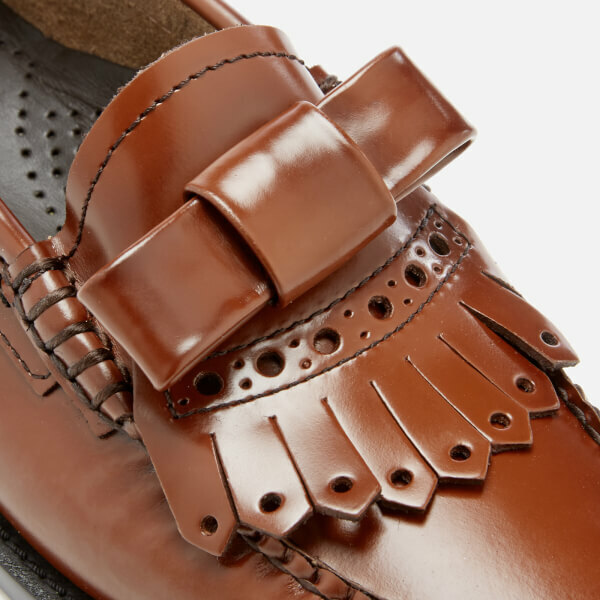 Hand-sewn and crafted from tan leather, the classic slip-on loafers feature a tassel front with a kiltie skirt, a stitched moc toe silhouette and lace detailing around the sides. 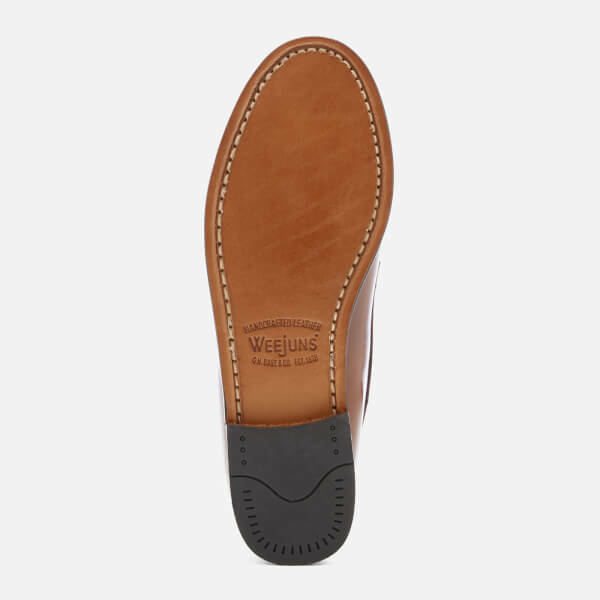 Set on a stacked leather sole with a small heel, the shoes are finished with a cushioned leather insole for comfort, tonal hand-stitched seams and welt stitching.